I recently interviewed Elias Ek, the CEO and co-founder of Enspyre about Taiwan’s growing startup community, and the Dragons' Chamber pitch contest in Taipei. If you are not familiar with the Dragon's Chamber pitch event, think ABC TV show Shark Tank. Elias also kindly shared several of the resources available in Taiwan for budding entrepreneurs. He knows what he's talking about. He's even authored a book called, How to Start a Business in Taiwan. 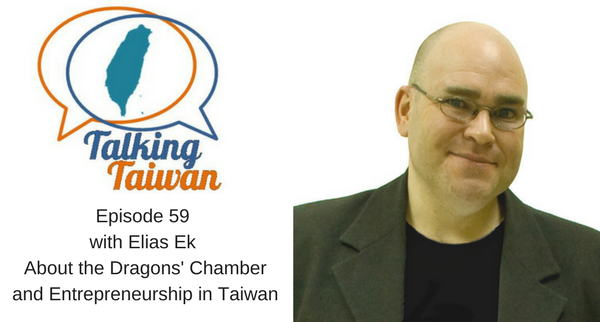 If you've ever thought about starting a business in Taiwan, are about to embark on, or are currently in the midst of starting a business in Taiwan, this episode is a must-listen for you, especially for non-Taiwanese nationals.